Catlin, George. 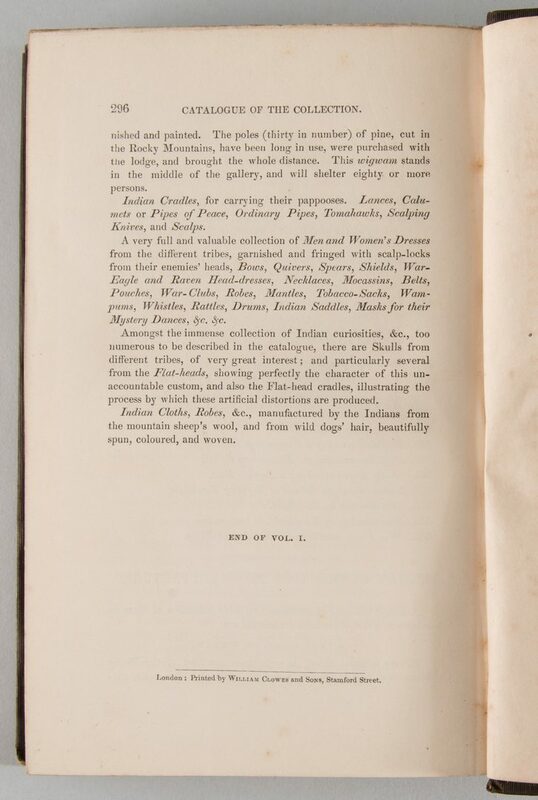 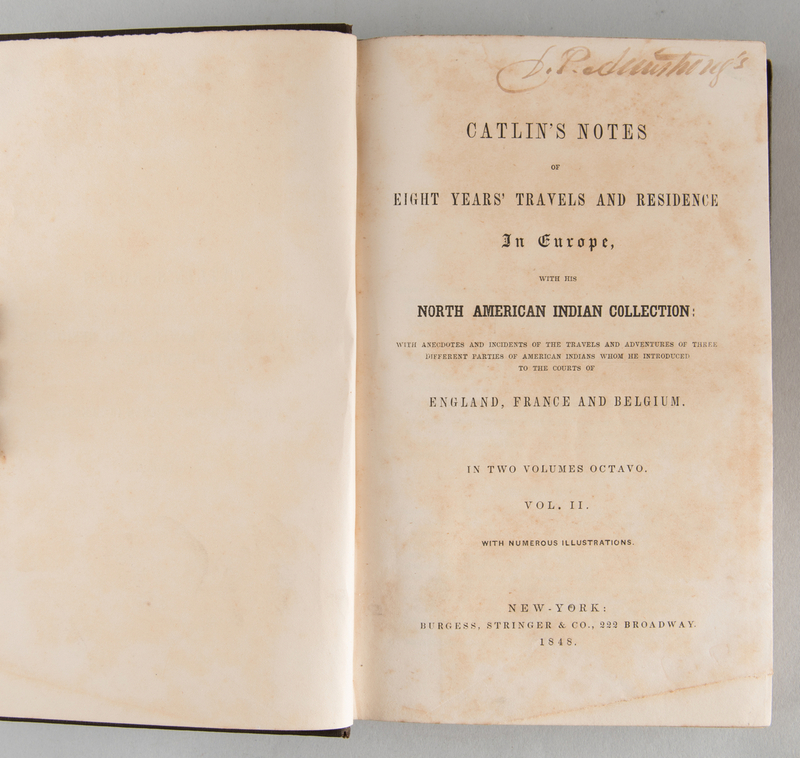 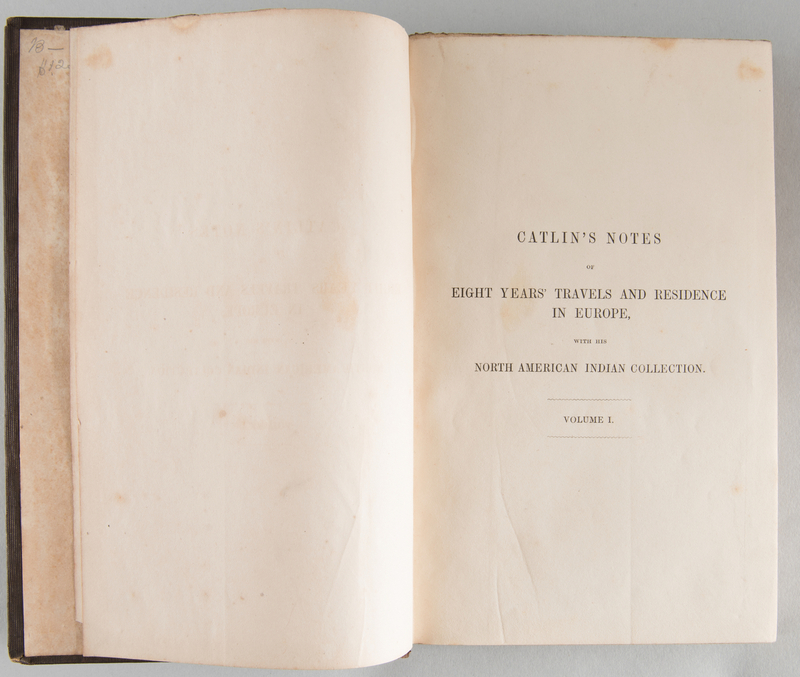 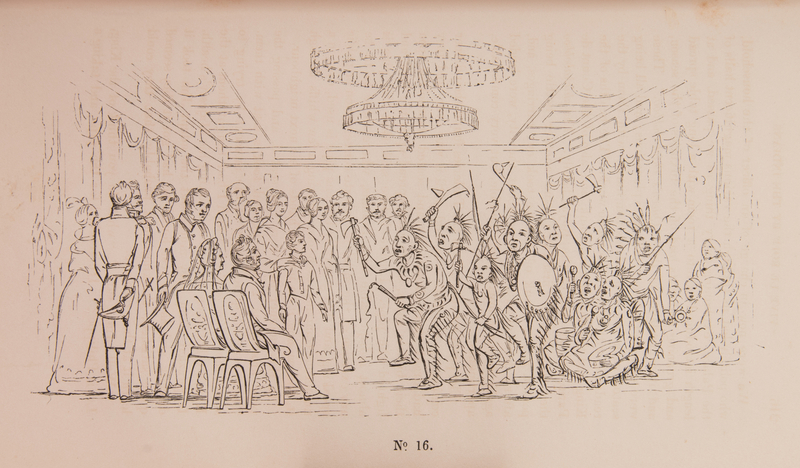 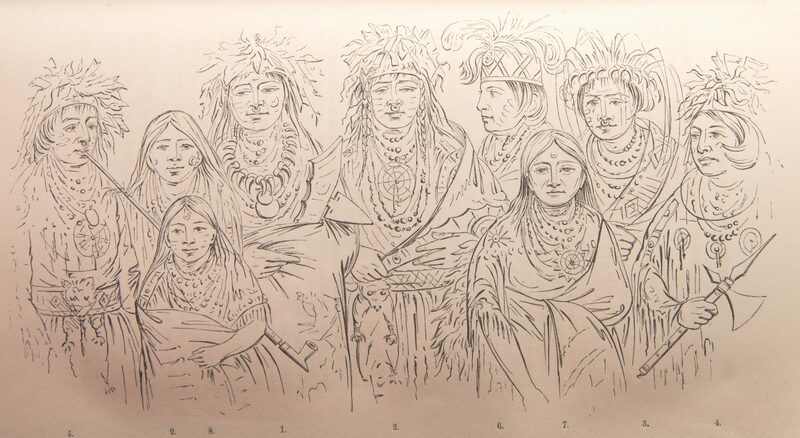 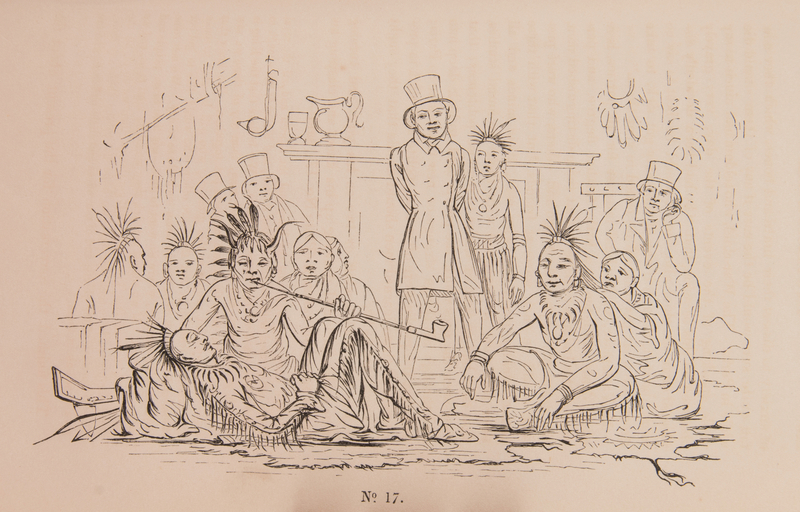 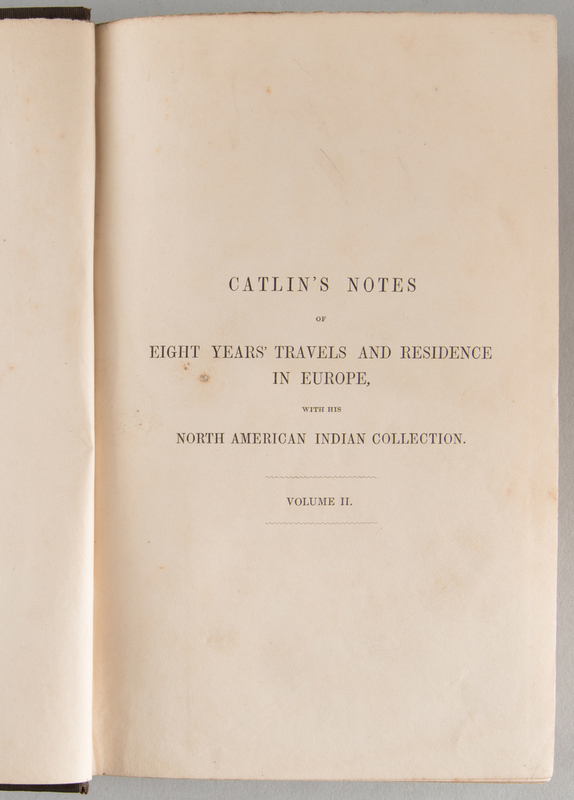 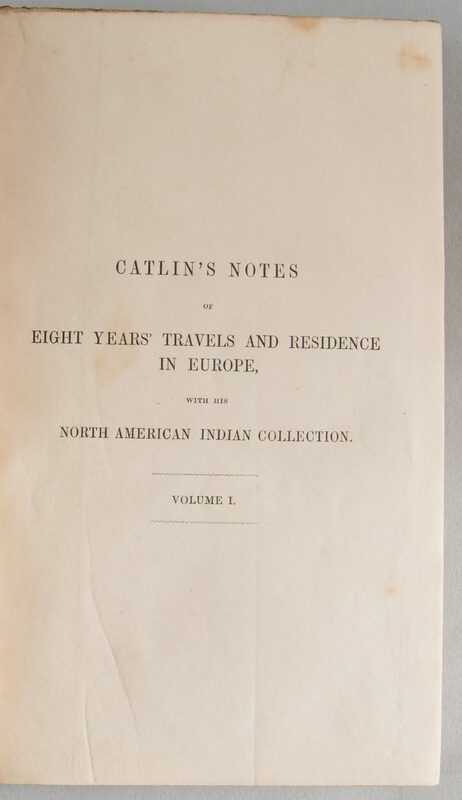 CATLIN'S NOTES OF EIGHT YEARS' TRAVELS AND RESIDENCE IN EUROPE, with His North American Indian Collection: with Anecdotes and Incidents of the Travels and Adventures of Three Different Parties of American Indians Whom He Introduced to the Courts of England, France and Belgium. 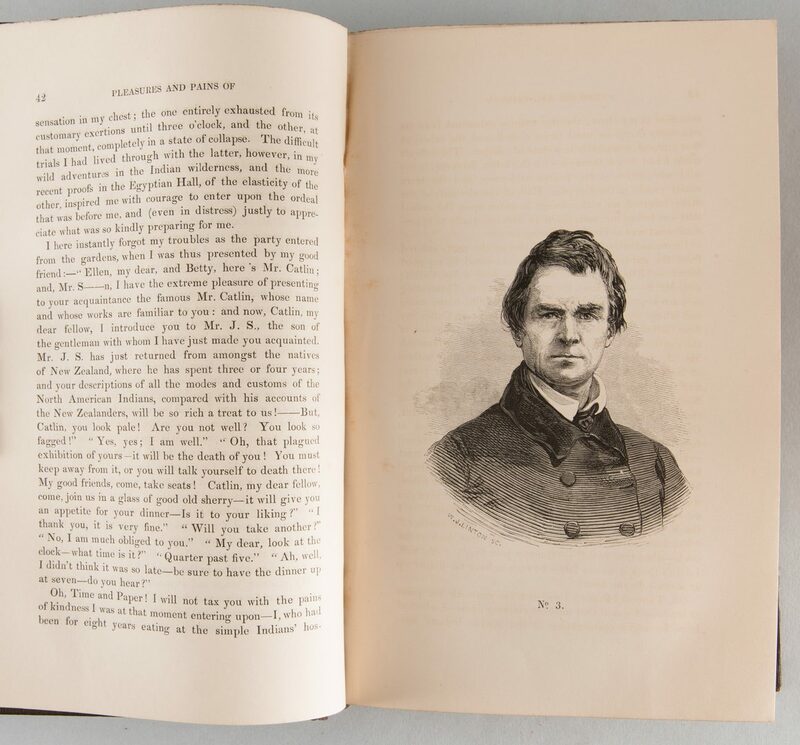 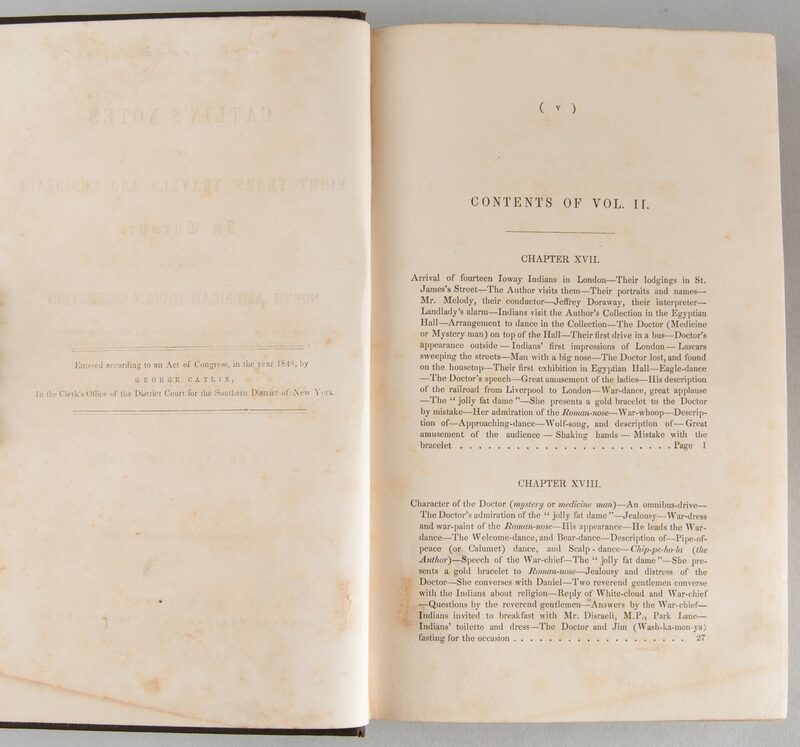 In Two Volumes Octavo. 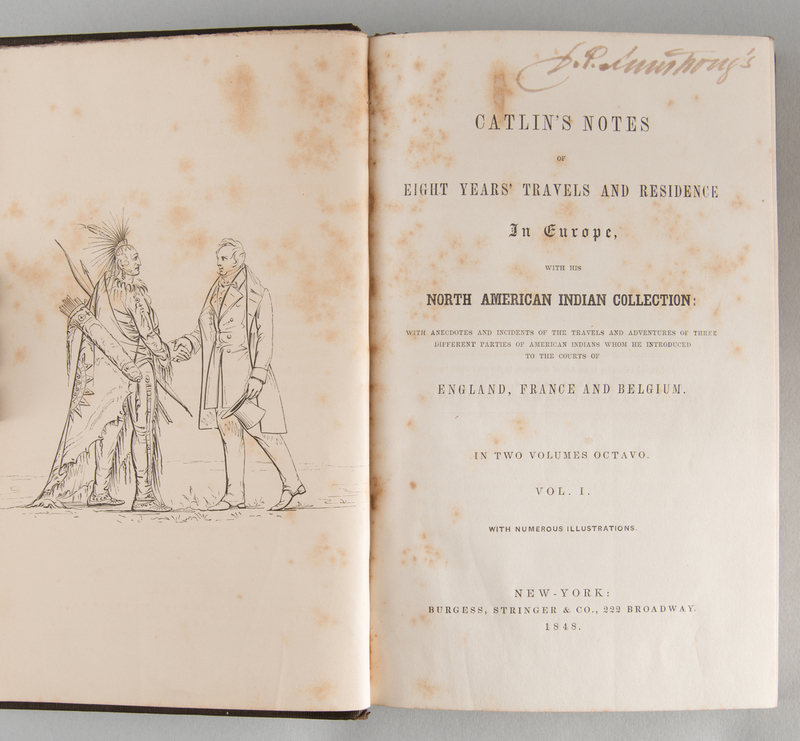 New York: Burgess, Stringer, & Co., 1848. 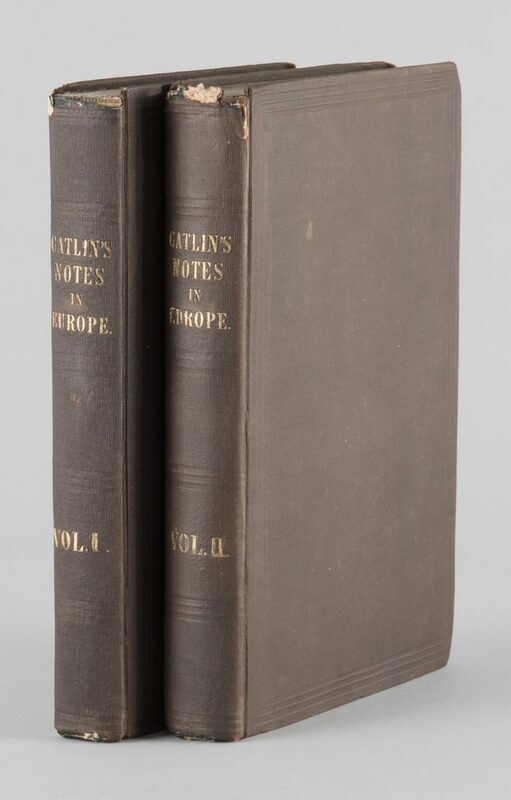 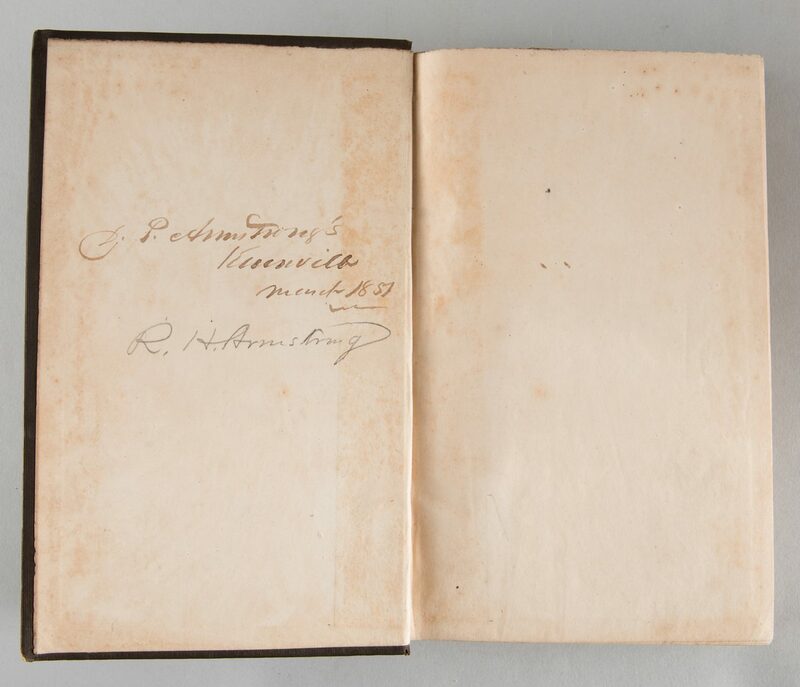 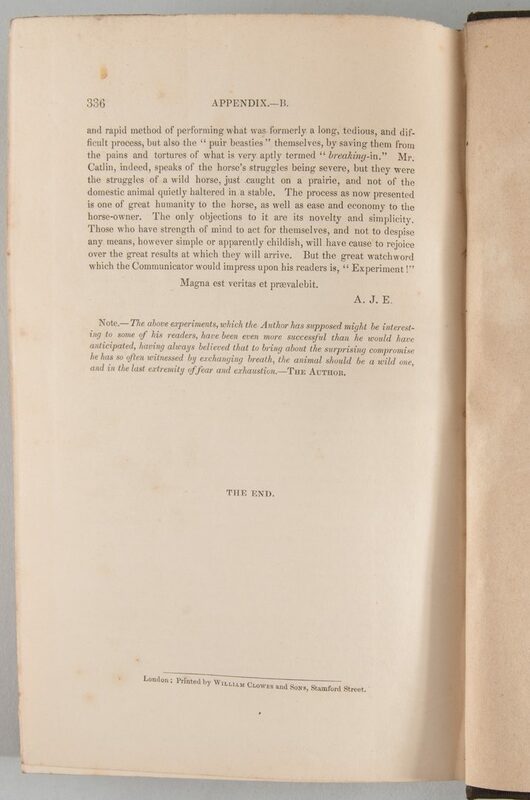 Two volumes, xvi, 296; xii, 336pp. Twenty-four plates collated. Vol I – 8 7/8" H x 6" W x 1" D. Vol II – 8 7/8" H x 6" W x 1 1/8" D. CONDITION: Two volumes, publisher's brown cloth, gilt. 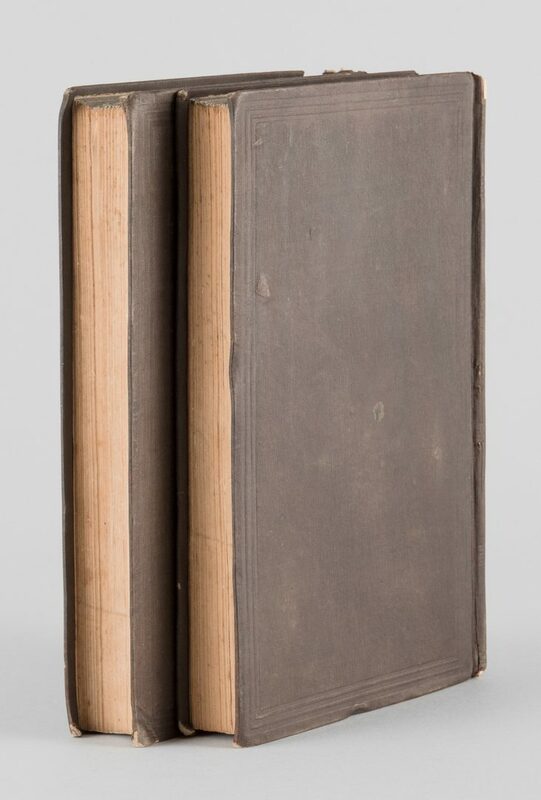 Some edgewear, especially tops of spines. 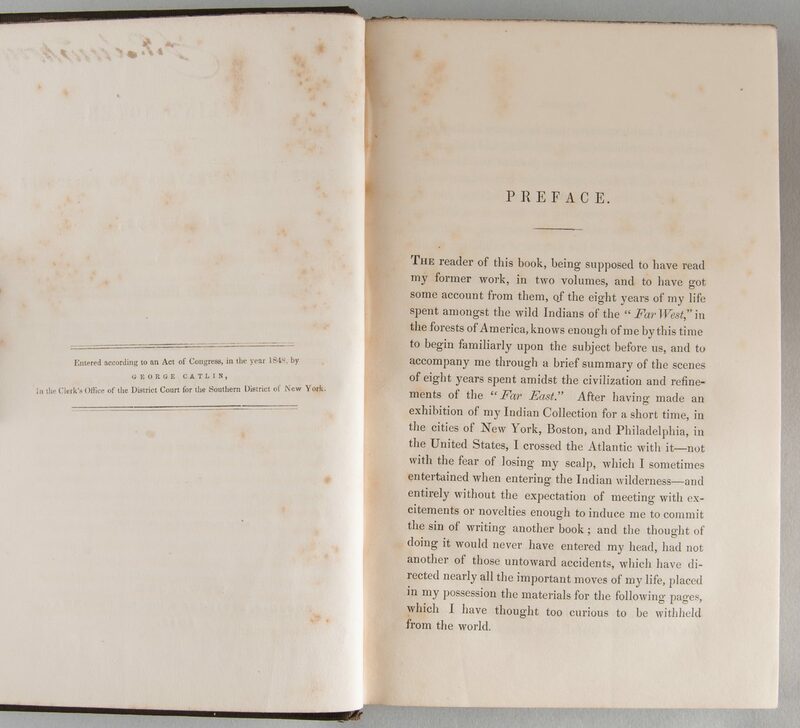 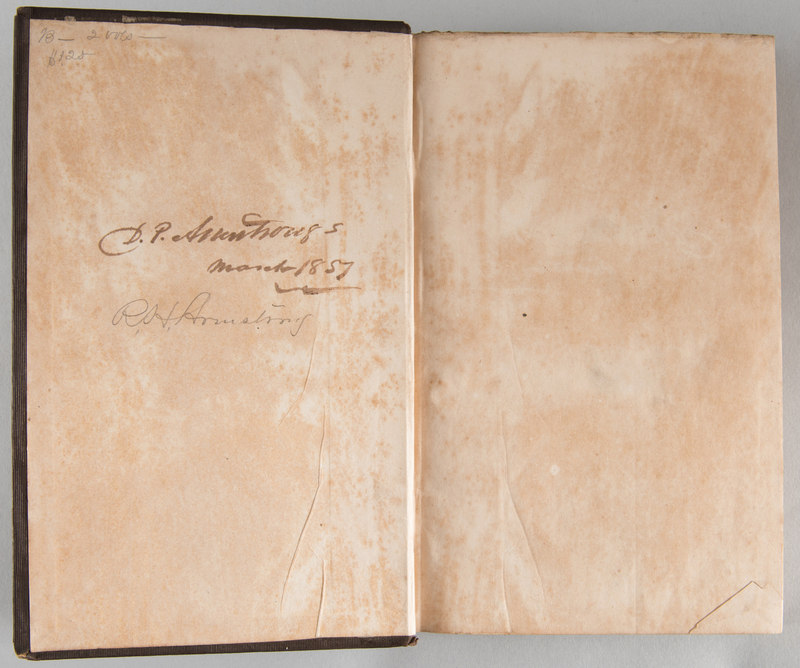 Pages slightly toned with just a little occasional foxing.